In the mouth a lot of fruit, strong taste of cherry, blackberry, plum and coffee in the background. Noticeable, mild tannins. and can be felt and a little biit of alcohol. Finish is short, tannic and fruity..
What else ? A pleasant surprise, very good wine, mature Shiraz at its peak. For that price can not be found better. 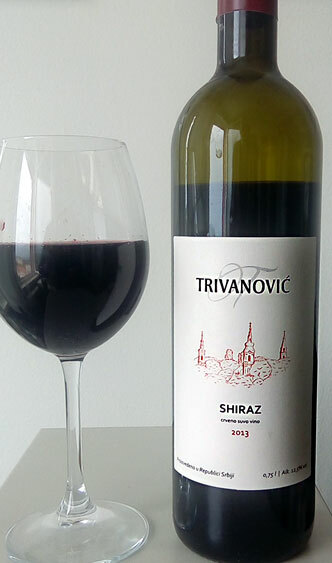 (Winery Trivanovic has “basic” and ” premium” version of its wines. This is representative of “basic” which costs about 5 euros per bottle.) We really liked, maybe more than premium version. Style : red dry wine, 12.5 % alc. Very strong, very spicy, and surprisingly good too, much better than it promises on the poster. 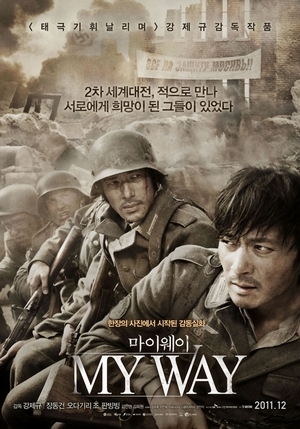 For all fans of war movies “must see” .